You will love what our Strawberry Ice Feminized cannabis seeds have to offer. You may like the sweet taste and wonderful smell they offer. The THC is very high and the buds are going to have a red glow to them. If you enjoy strawberry ice cream, you are really going to love this product! We make it easy for you to buy Strawberry Ice Feminized and get it shipped quickly. The parents of Strawberry Ice Feminized marijuana seeds are still a mystery, but there is some Blueberry found in there. We work closely with our breeders, but even they don’t disclose the heritage and we respect that. What we can tell you is this is a delightful option if you would like cannabis seeds to grow your own plants. The THC level is about 21%. We can also tell you it is a 50/50 Sativa/Indica strain. We are appreciative of our customers, and offer great prices and quality. 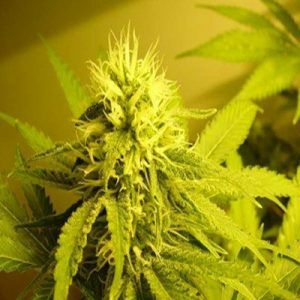 You can buy Strawberry Ice Feminized marijuana seeds from us or any of our more than 100 cannabis seeds. We only offer top of the line products for you to pick from. We have excellent communication and standards for our breeders. We protect your privacy too as we don’t share your information. You can pick one of many payment methods so you can decide what you want to use for the purchase. We ship all over the world and there is no indicator on the package that there are cannabis seeds inside. Knowing what you can expect with the Strawberry Ice Feminized cannabis seeds is important. You can grow them inside or outside, which ever you prefer. They will grow taller and you will get a higher yield when you grow them outdoors. They will range from 120 cm to 270 cm tall. It isn’t hard to grow Strawberry Ice Feminized seeds either, and even easier when you follow the guidelines in our grower’s guide. You can expect a yield between 750 to 950 grams per square meter.